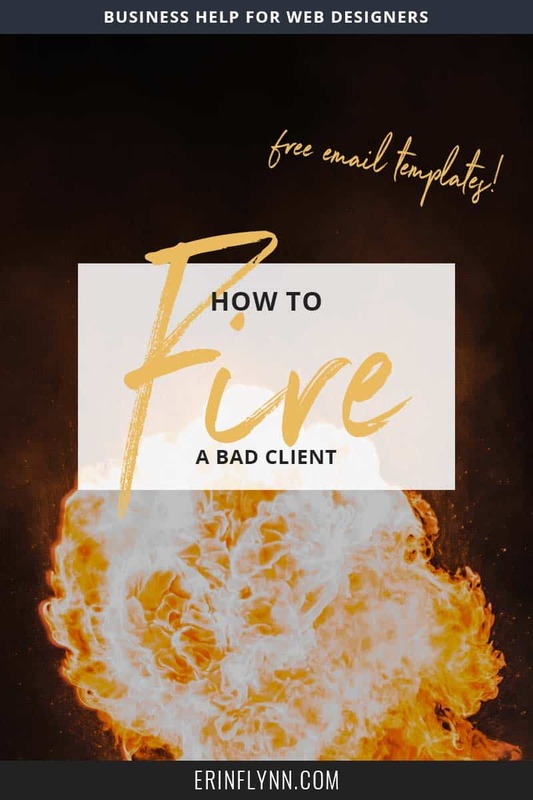 Last week I talked about how to screen clients, so this week I’m going to talk about how to fire a client who isn’t a good fit. A client might be a bad fit for a number of reasons: her project may be of no interest to you, she may communicate differently from you (phone vs. email), she might need it sooner than you can manage–the list goes on and on. None of those things make her a bad client, they just make her a bad fit for you. Please let me know if you’d like me to introduce you to either of them. You state that you’ve looked over the project, so you’re not just blowing her off. You admit you’re not the right fit for the project (as opposed to not wanting to work with her as person), so you keep it impersonal but honest. You recommend others and offer to make an introduction, so you’re still helping her out. Sometimes, we’re not so lucky, and find out a client is a bad fit after the contract is signed the work has begun. That gets a bit trickier, but can still be remedied. I’ve been thinking about this for a while now, and I just don’t feel like we are on the same page at all. You deserve a designer who “gets” you and I want to work on projects I feel passionately about. We’re just not the best match for each other. Per the contract, I am cancelling the current project and attaching all work that has been paid for. You can take these to another designer who will hopefully be a better match. Below is another designer’s contact info. She’s AWESOME and I think you two would be great together. I’m happy to make the introductions if you’d prefer, otherwise, feel free to drop her a line. Again, you’re not just blowing her off. You’ve noticed the problems, and want her to get a great quality of work. You have it in your contract that you can cancel projects (this is key!) and are doing so per the contract. You’re also handing over what she’s paid for and allowing her to take it to someone else to complete the project. And finally, you’re again recommending someone else, and being helpful. In general, clients want to know one thing: that you care about them. It’s far better to be honest about a project not being a good fit, than to trudge through and end up resenting the client and hating the work. Clients will appreciate your honesty and help in finding someone they can well work with.